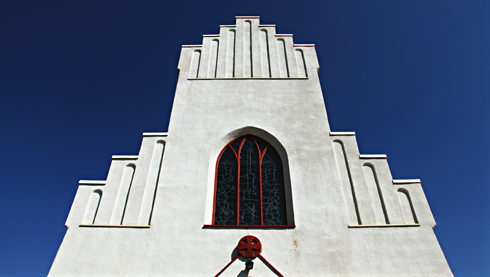 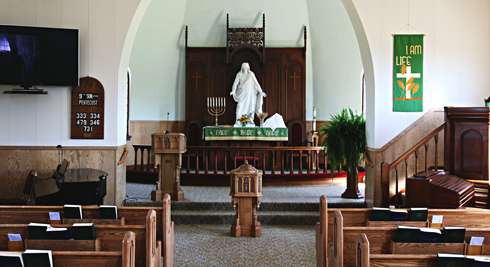 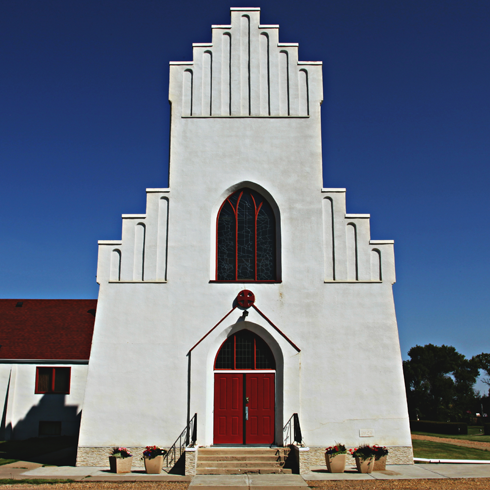 Constructed in 1929, the Bethlehem Luthern Church in Dalum, Alberta is an unexpected site at the junction of Highway 56 and Secondary Road 569. 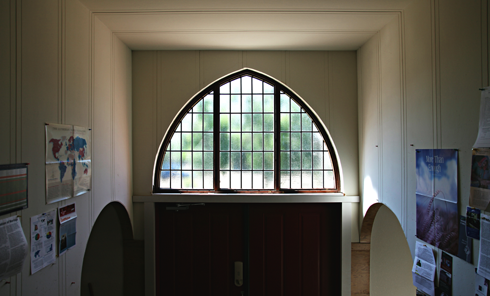 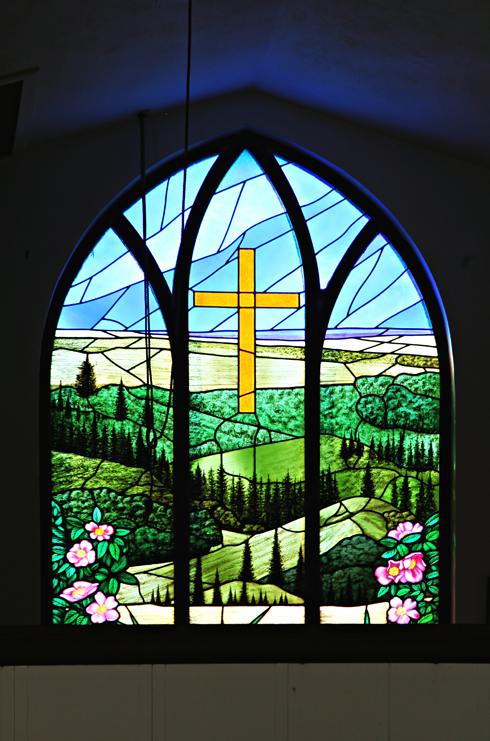 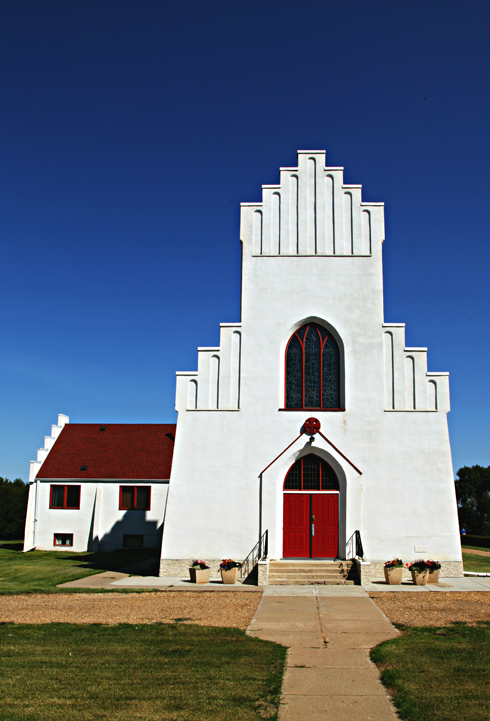 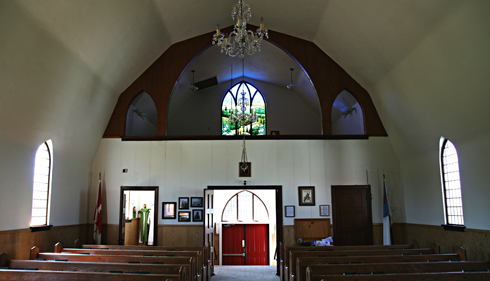 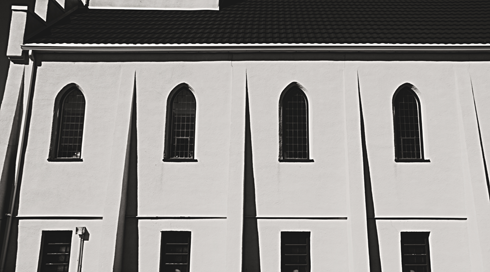 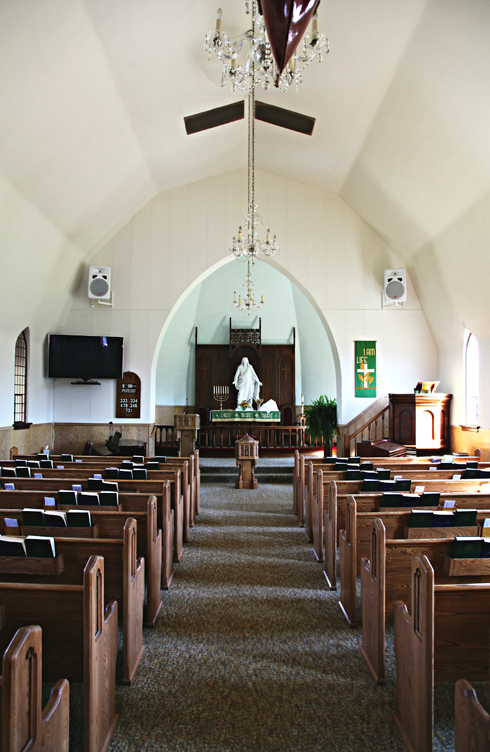 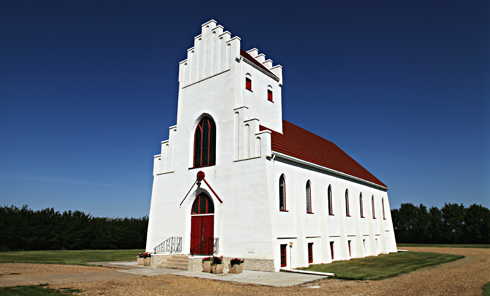 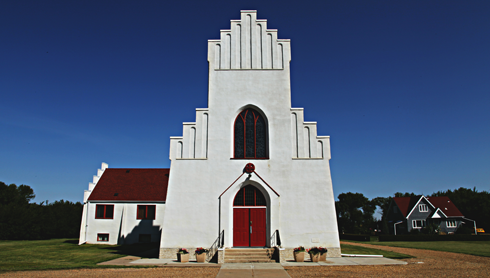 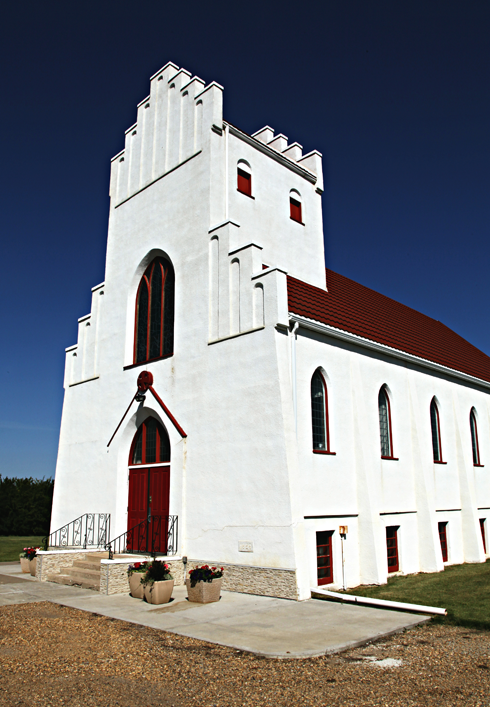 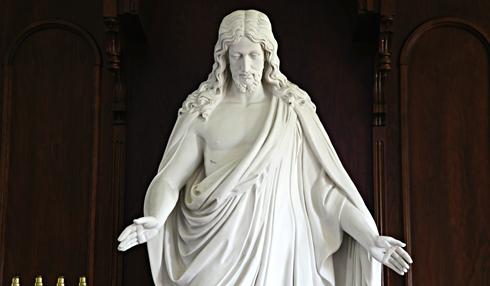 This historic Danish church is practically in the middle of nowhere (about 20 minutes southeast of Drumheller) and was built by the Danish immigrants in the area - specifically, the community of Dalum was established by a Danish group called Dansk Folksamfund. 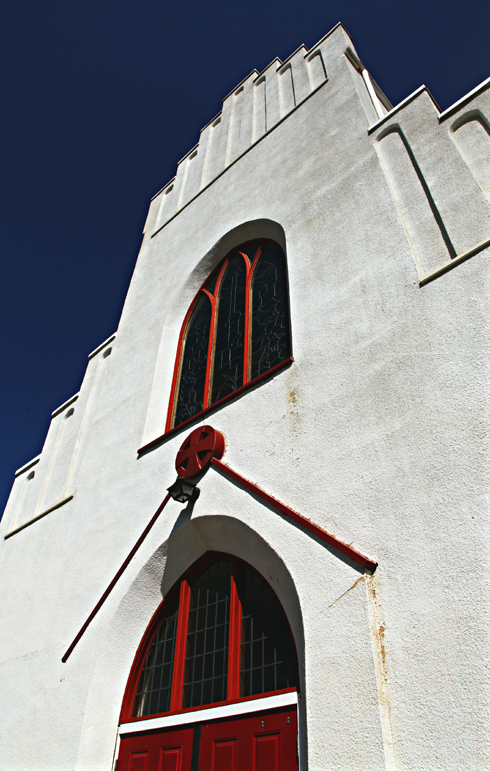 I was driving by and stopped to have a look when the interesting architecture (and red roof) of the church caught my eye. 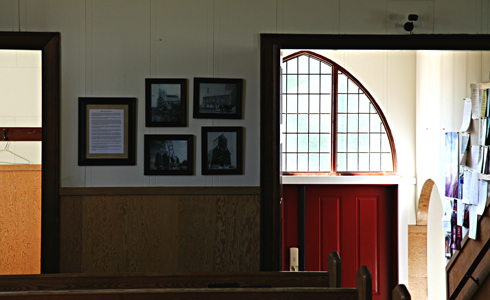 I began taking some pictures and a gentleman came over and asked if I'd like to see inside. 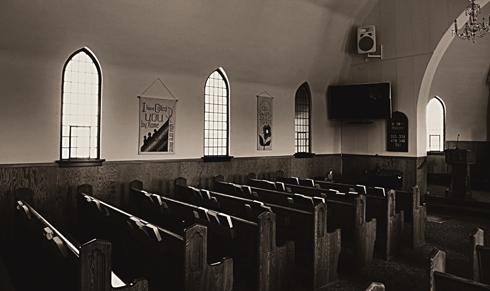 Naturally I couldn't pass up the opportunity to have a look. 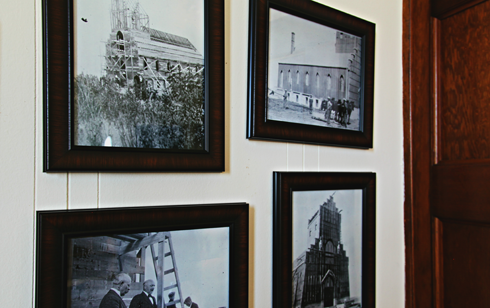 He explained a bit of the history of the area and also pointed out how it was tradition for Danish churches to have a model of a ship in them - this one had the Bluenose hanging near the entrance. 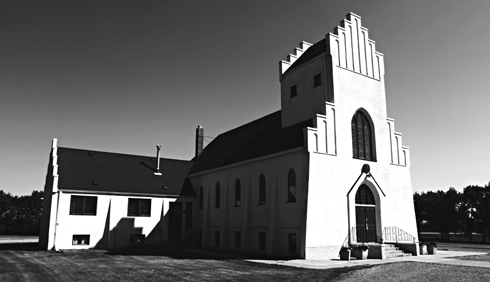 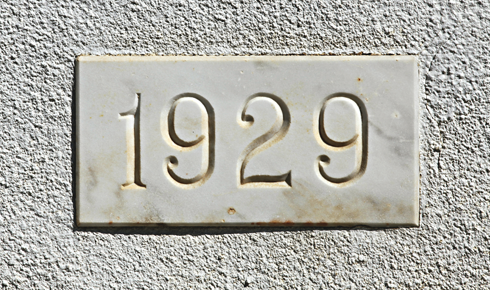 It was a brief, but really interesting stop on my journey. 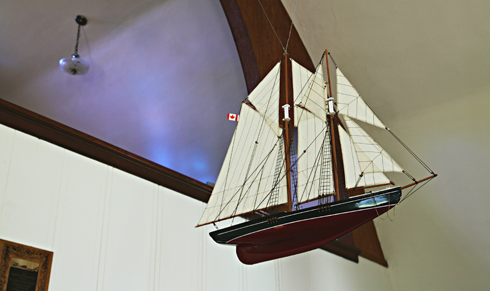 Bluenose ship model hanging near the entrance.